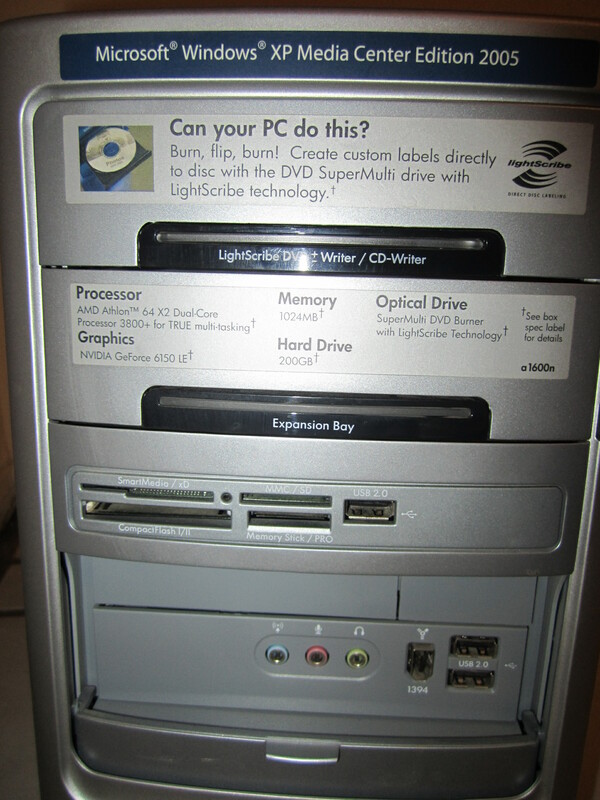 Hp Pavilion a1600n 2005 model. 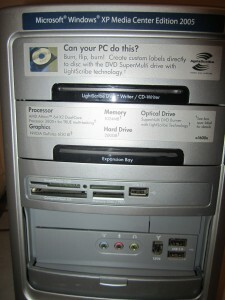 1GB RAM, 250GB HDD, P4 processor, DVD Rom. 6 years later it’s still a pretty decent machine, for those who like to check their email, do basic web browsing perhaps listing to a tune or watch a movie. A quick recommended upgrade of RAM will never hurt and keeping dust out of computer also would be pretty helpful. However one thing remains without a question – you can not keep windows for too long more than 2 years without reinstalling and hope it will run as fast as you got it the first day. This case is about 5 year old windows and the baggage it comes with no matter how you turn it. The call was received upon a referral from a friend and the person on the other end complained they have a virus on their computer. When I arrived it definitely didn’t seem so. After several pc diagnostic checks everything seemed to be fine. Except maybe the super slow internet connection, which was provided by hughes.net – satellite internet provider, for people who live out of cities and don’t have access to cable or dsl. Customer complained also her email was not working and she wasn’t able to send messages. So the first thought that came to mind was- outlook – settings must be wrong, however she was using web-based email and still outgoing emails were being blocked what seemed like by provider itself. as result, just to be sure, I decided to scan the hard disk one more time with spyware cleaner to check for malicious programs that might be causing this on our end. I did and 3 objects were found. but I doubt they were causing email account to generate 1000’s of outgoing messages. further to protect computer from new intrusions I as usual wanted to install my favorite Kaspersky Internet Security protection. I couldnt do it. because norton antivirus was installed. and as you may already know, only one antivirus can be installed on computer at the time. I tried uninstall norton. but without luck. it was asking to login as admin and change the settings. But that also wasn’t possible, because everytime I would start it – norton would freeze. So only then I realized windows was 5 years old. All programs were 5 years old. Windows was 5 years old and no matter how you look at it, it really needed to go. So I brought pc back to the office, backed up all important folders, wiped hard drive clean and rebooted with a fresh copy of windows. After 30 more minutes of activation and updating drivers. hp pavilion is literally a new born, hopefully to last another 5 years ahead!